Slugs are the bane, (nuisance, pest, hardship) of many gardeners existence; the sneaky little gastropods (creep) in at night, eating off the leaves and fruit off of many plants. Rather than letting them take over your beloved garden, take action to condemn the slugs that are ruining your plants. 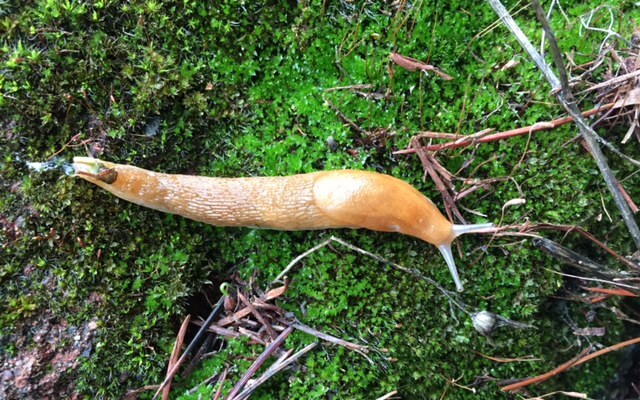 With a variety of techniques including lures and traps as well as using natural predators to rid you of slugs, you’ll be slug-free in no time. when i was a young teenager, my cousins and i would explode slugs with firecrackers. yep, we would line those little gastropods up on a piece of wood, next to the sand at the edge of the lake and blow them to smithereens. and as a kid, i remember living in a home that had a backyard with little skylight, dark hiding places and bright green moss, wet slippery rocks, slugs, bugs, dripping trees and mucky wet walkways. those little gastropods were everywhere. their trails of slime cris-crossing every path. Yep, today, I so relate, so feel, so understand, so connect to a slug. a slow, lazy person. plodding through my week leaving a slime trail behind me. in the midst of a dark cave, of flying words and dripping sarcasm (or not) i slipped and fell in the muck of a relationship. or, i can write this out. i can live this out. i can breathe. i can see what part is true and what part i don’t have to carry with me. i can look and see what a slug has to teach me. what i can learn from myself, the slug. terrestrial ~ something of the earth, the ground, the dirt ~ i am invited once again, to explore what it means to be grounded. return to the dust of the earth, recognizing, remembering who i am and how i have been created. gastropod ~ a mollusk ~ hmmmm. most slugs retain a remnant of their shell and it is usually internalized. so today, this rainy, bright green, cloudy day, full of dampness and slime is as it should be. my day, my moment to listen and learn. my time to remember and recognize and reconnect.